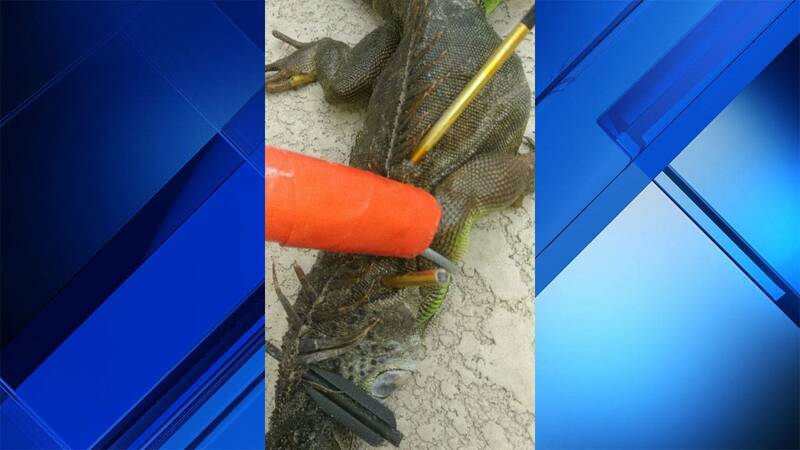 PLANTATION, Fla. - For the second time in two days, an iguana was spotted wounded by a crossbow bolt in a Plantation neighborhood, a volunteer for a wildlife rescue said. David Drake of Jungle Birds R' Us said he was called to the neighborhood again Saturday to tend to the injured iguana. Another iguana was spotted with crossbow wound on Friday, but has not been captured. 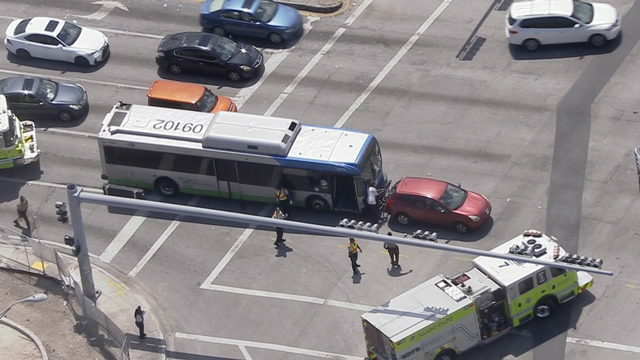 Drake also reported a similar case in the same neighborhood in January. Drake said the iguana found on Saturday is expected to survive. Florida law currently allows the hunting of iguanas, as long as they are killed in a humane way and are not left to suffer. However, Drake said killing them in a humane way is difficult and people without proper knowledge can lead to cases where the iguanas are maimed but not killed. Drake is offering a $500 reward for information about who is responsible for shooting the iguanas. Iguanas are not native to South Florida and their numbers of have grown in recent years, causing some residents to view them as a nuisance. Iguanas have been burrowing into sewer lines, and even appearing in people’s toilets. Florida Fish and Wildlife Conservation Commission has hired a trapper to try and control the iguana population on public land in the Florida Keys.